AT&T announced two new Internet of Things (IoT) starter kits at the Consumer Electronics Show (CES) 2017 in Las Vegas, one for Amazon Web Services (AWS) developers, the other for developers that use Raspberry Pi. It comes six months after the launch of the wireless giant’s first starter kit. The two new kits look to bring more functionality into a single package, to avoid developers searching far and wide for third-party solutions that are compatible. 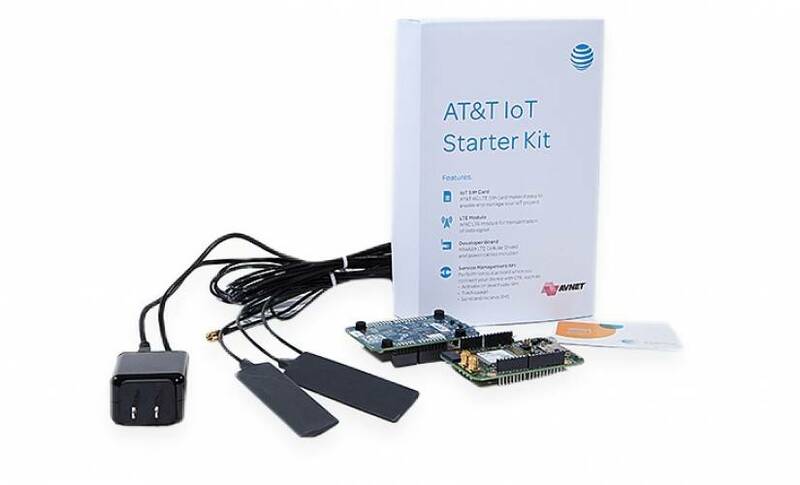 AT&T has packed an LTE Cat-1 modem, two antennas, a U.S. and Mexico SIM card with six months of 300MB prepaid data, a USB plug, a microSD card, and an NXP K64F development board into the starter kit. Both kits support PubNub Data stream network and associated APIs, which enable low latency and encrypted two-way messaging, according to a press release. Instead of making them open to any platform, AT&T has focused on two of the largest IoT platforms for beginners, AWS and Raspberry Pi. This allows developers to quickly build functions without having to learn new code or switch platforms. AT&T is competing heavily with Verizon to make the IoT market a new moneymaker, as the wireless industry starts to slow. Verizon has spent more to burst into the market so far, but AT&T appears to be taking a more collaborative approach, which might win over developers. And those two US-based wireless carriers are not the only ones looking to dominate the space. European communications like Vodafone and Orange, as well as other US firms, like Sprint, all want a piece of the IoT pie in the coming years, though not all have worked on their own devkit offering.